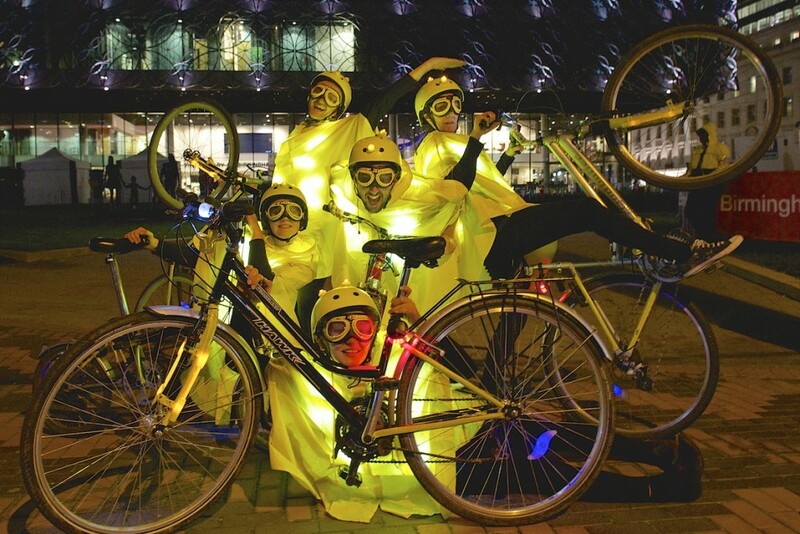 A night-time version of Strictly Cycling, with yellow cycling capes glowing like belisha beacons, wheels, fingers & toes ablaze. 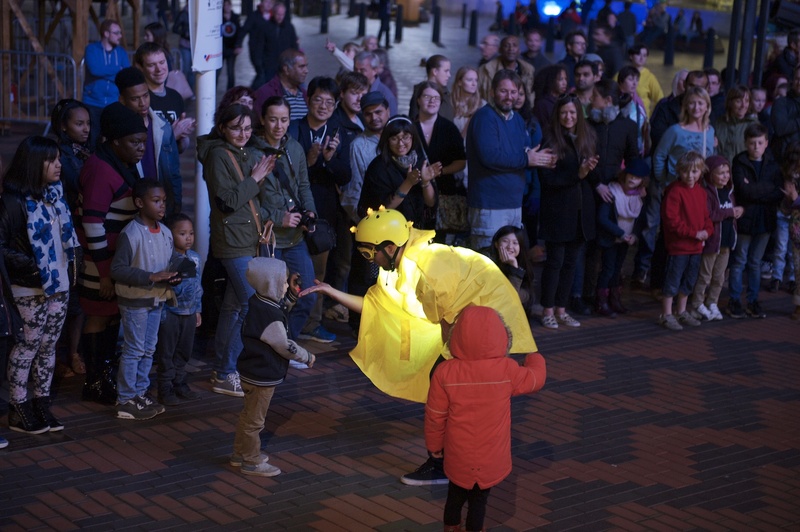 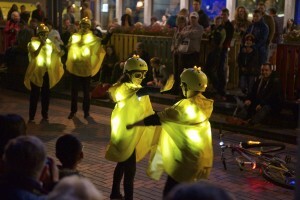 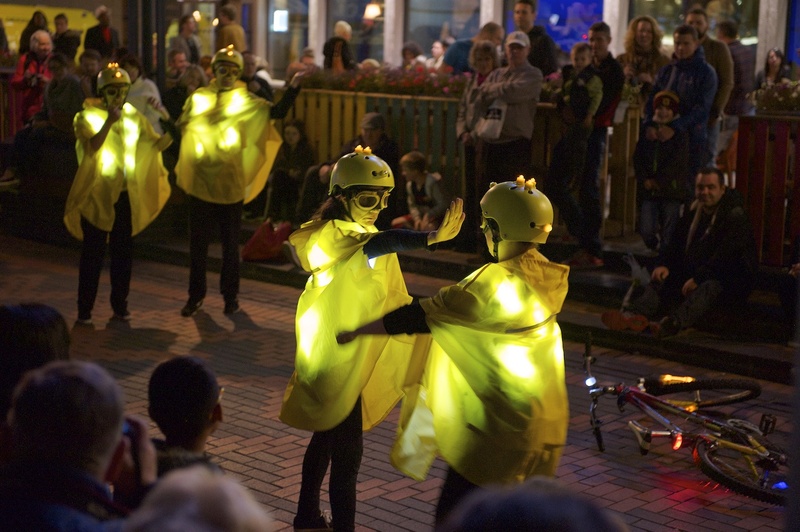 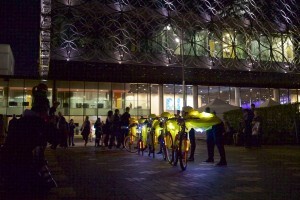 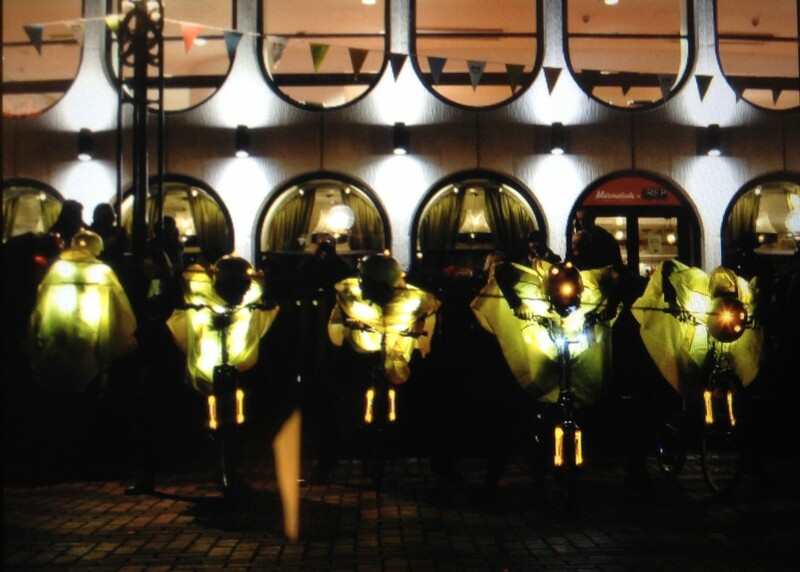 An entertaining street show, combined with a light-hearted, road safety, message to ‘light up & be seen on bikes after dark. 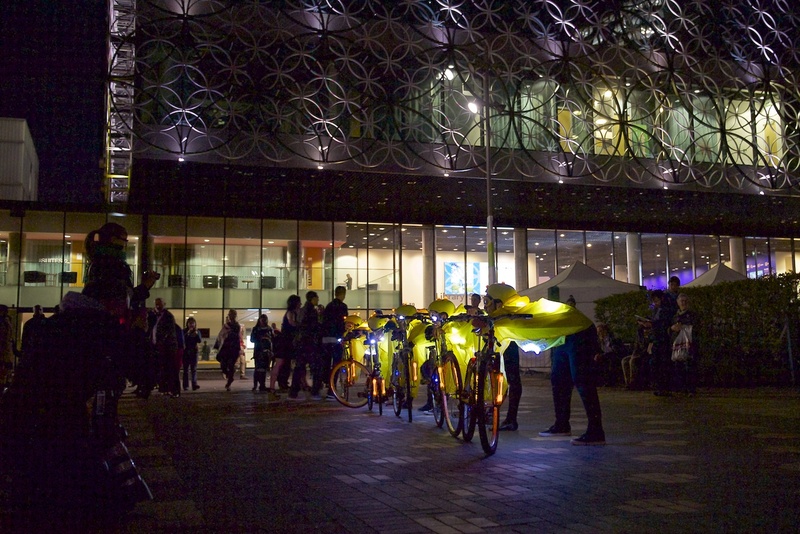 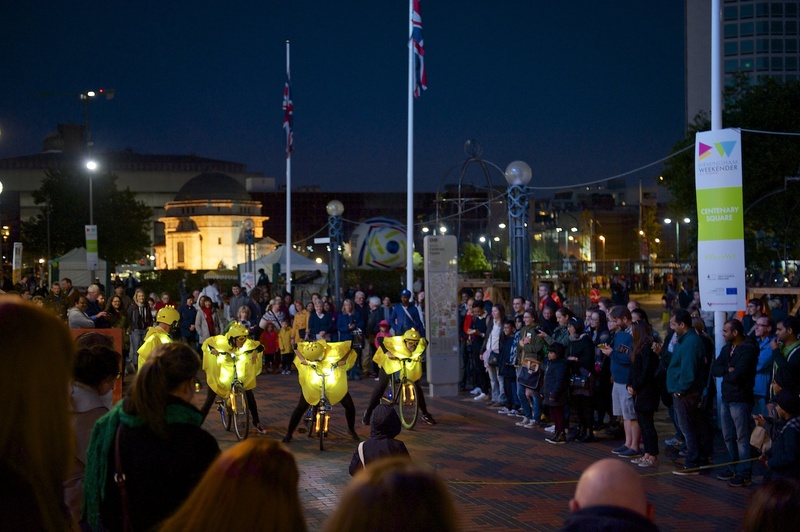 Strictly Night Cycling is commissioned by The Birmingham Weekender & premiered in Birmingham on 25 & 26 September 2015.